The festival of Kurma Jayanti celebrates the birth of Lord Vishnu in the form of a tortoise, known as ‘kurma’ in Sanskrit language. It falls on the ‘Purnima’ (full moon day) in the month of ‘Vaishakh’ in the Hindu calendar. In the English calendar, this date falls between May-June. According to the Hindu legends it is believed that on this very day, Lord Vishnu in His avatar of ‘kurma’ lifted the gigantic Mandaranchal Parvat on His back during the ‘Ksheera Sagara Manthan’. From then onwards Kurma Jayanti is celebrated as the birth anniversary of Lord Kurma (Tortoise). This form is known to be second avatar of Sri Hari Vishnu and Hindu devotees worship Him religiously on this day with full gaiety and dedication. On the day of Kurma Jayanti special pujas and ceremonies are held in Lord Vishnu temples all across the country. The festivity at the ‘Sri Kurman Sri Kurmanatha Swami Temple’ in Andhra Pradesh is very grand and the festivities lure devotees from far and wide. On the day of Kurma Jayanti, devotees keep a strict fast. The vrat begins from the previous night and continues till the full day. The observer of the Kurma Jayanti vrat does not sleep all night and stays awake reciting ‘Vishnu sahasranaam’ and other Vedic mantras. Lord Vishnu is worshipped with devotion and affection on this day. Devotees pray to their lord to seek divine blessings for removing obstacles in life and also ensuring prosperity and success. On Kurma Jayanti devotees visit Lord Vishnu temples in the evening and witness the rituals held there. Offering donations or charity to Brahmins is also an important event of the day. Donations can be in the form of food, money, clothes or any other essentials of life and should depend on one’s financial capacity. Kurma Jayanti is an auspicious festival for Hindus. 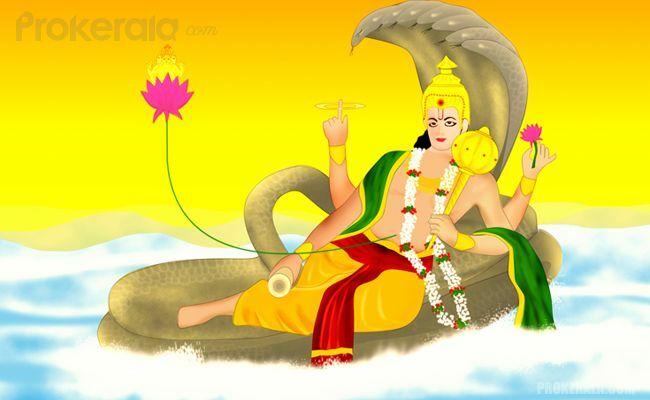 On this day the Kurma Avatar of Lord Vishnu is revered by Hindus. As per the Hindu mythological stories, during the celestial event of ‘Khseera Samudra Manthan’ the ‘Mandaranchal Parvat’ was used for churning the ocean. However when the mountain began to sink, Lord Vishnu emerged as a giant tortoise and held the parvat on His back. Therefore without this Kurma Avatar, the ‘Ksheersagara’ could not be churned and the 14 divine gifts or ‘ratnas’ would not have been bestowed to the Gods or ‘Devas’. Henceforth Kurma Jayanti holds immense religious significance for Hindus and devotees express their gratitude for the greatness of Lord Vishnu. The day of Kurma Jayanti is considered auspicious for initiating construction work owing to the popular belief that Yogmaya resides with Lord Kurma. This day is even favourable for shifting into a new house or work related to Vaastu.